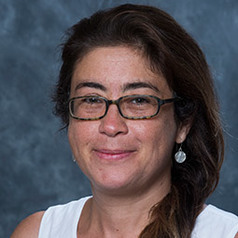 Orgul Demet Ozturk is an associate professor of economics in the Darla Moore School of Business at the University of South Carolina. She received her Ph.D. from University of Wisconsin, Madison, in 2006, her M.S. from the same institution in 2003 and her B.A. in Economics and Sociology with honors from the Koc University in Istanbul in 2000. Her academic research interests are in applied microeconomics fields, specifically labor economics and health economics. Ozturk has written articles on the effects of labor market regulations and minimum wages on female employment, effectiveness of supported employment programs for developmentally disabled, the relationship between occupation choice and welfare independence, and the effects of maternal employment and welfare use on children’s cognitive outcomes. Her articles have appeared in journals such as the Journal of Policy Analysis and Management, Economic Inquiry, Industrial and Labor Relations Review and Journal of Managerial and Decision Economics. She is currently working on projects in childhood nutrition, female career development and rare conditions observed among the developmentally disabled. She has professional affiliations with the Society of Labor Economists, International Health Economics Association and the American Economic Association.